Cyborg a widely accepted "alternative" to its competitors. Cyborg Tactical Protection Services is a leading player in the field of innovative security and risk management solutions. Cyborg offers a unique set of insights on the South African security landscape, with a professional business model based on relevance and sensitivity to clients’ needs. 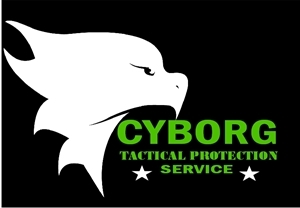 Cyborg Tactical Protection services is rated a top security service provider company, Cyborg has taken a "BIG COMPANY" approach to security, Cyborg is working together across our professional business groups and actively bringing all of Cyborg's resources together to provide cost effective security solutions to our clients. Cyborg Security maintains leadership positions in Guarding Services, Reaction Services, Offsite Monitoring, Automated Criminal Record Checks and Integrated Security Technology which include: Intruder Alarms, CCTV, Access Control Systems and Intercoms, VIP, protection, Security guards. Cyborg was formed as a vehicle to bring all the professional services needed to the masses of South Africa at very cost effective rates, without compromising the quality of services rendered. we do not accept excuses and will not settle for anything but the best. Business premises, Body corporates, Office blocks ,Work sites ,Factory complex ,Construction sites, Bank, Schools - public or private school ,Shopping centers, Malls, Public spaces, Private dwellings, New or old homes ,Housing estates, Residential suburbs, Local streets, Loss prevention, Security guards, Crowd control, Personal protection, Risk management, School security, Sporting events, Special events, Party security/ Private or Corporate, Traffic management, First aid, V.I.P's /Body guards. “Your team has provided us with excellent service for the last two years. Even on great expextations your team always delivers as promised.